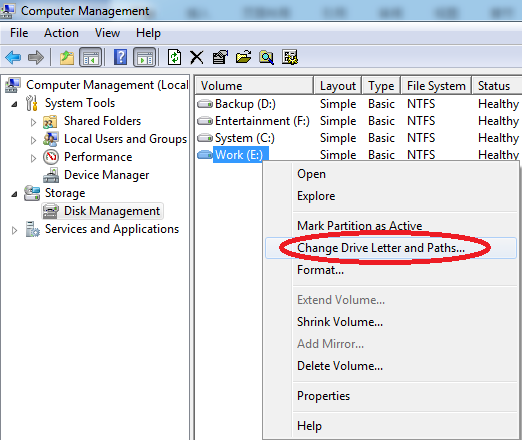 How to Hide Any Free Partition, File and Folder in Your Windows 7&8 PC? 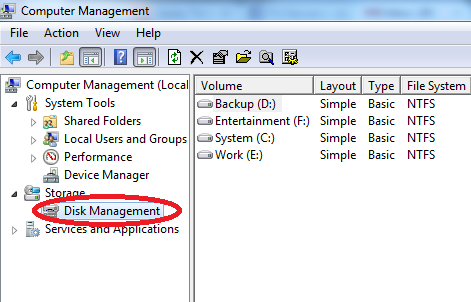 Most users’ computers have more than two partitions, we store different files and folders in different partitions. I am no exception, I have four partitions in my desktop, that is C: System, D: Backup, E: Work, F: Entertainment. There are some secret files and important documents that I don’t want to be seen by anyone, so it is imperative to hide this partition or the important files from the prying eyes. In this tutorial, I am gonna show you how to hide any free partition( the system partition not included), files and folders. 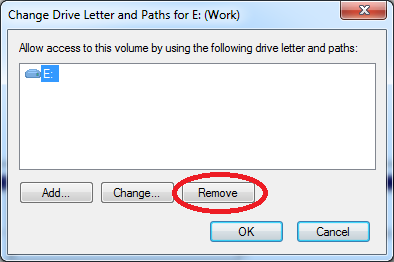 Step 2: Click on Add and select an appropriate drive letter. Step 4: Now the drive is visible. 1. What if I just want to hide some files but not the whole partition. 2. Security issue, I mean some other guys with some computer skills can unhide this partition with several clicks, it is not very safe. So it is more convenient and secure if we can hide any file or folder we want and also encrypt them. 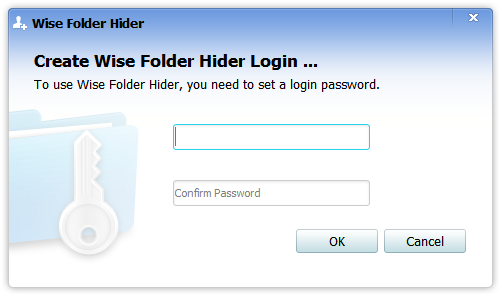 Wise Folder Hider(http://www.wisecleaner.com/wisefolderhider.html) is a perfect solution for that. It is freeware, you don’t need any license key to use it. It is pretty straightforward to hide files and folders with it. The first time you opened it, you are prompted a window asking you to create your password. Next time you open it, just type in the password. If you want to hide any file, folder or a USB, just click the corresponding tab and choose the target file, folder or USB, or just drag and drop any files or folders into it. Simple like that. Not simple enough? I have an easier way. 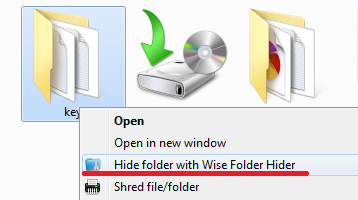 When you installed Wise Folder Hider, a shortcut of it is automatically added to your context menu. 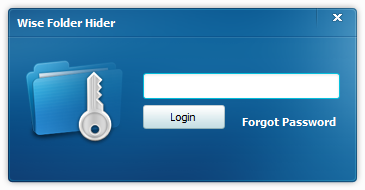 You can just right click any file or folder and then choose Hide Folder with Wise Folder, there you go, it is hidden by Wise Folder Hider. Still not satisfied? Some users may be concerned that I have to unhide the files when I need them, and hide them again when I am done using. What if I forget to hide them? Even I remember every time I use them, it is too many steps for me. 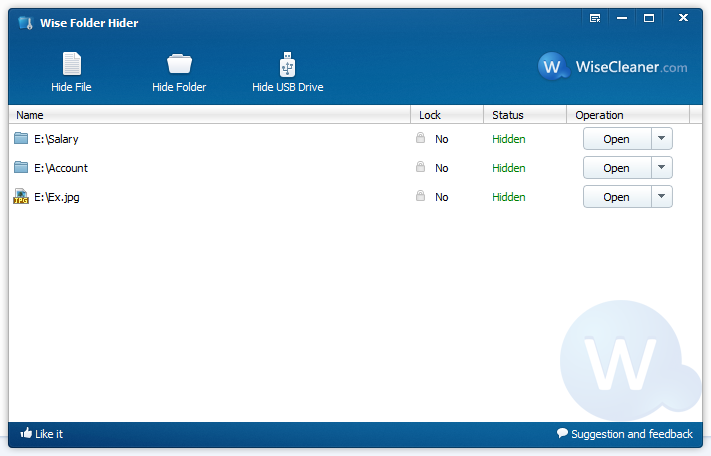 The good thing about Wise Folder Hider is you can open any hidden files in Wise Folder Hider, you don’t have to unhide and hide a file over and over again. When you open any hidden files in it, it becomes visible to you. When you Close Wise Folder Hider, it becomes hidden again. Hope the things I said above can be of help to you guys. One more thing, you can also set a second password for each of the files or folders to make it double secure.